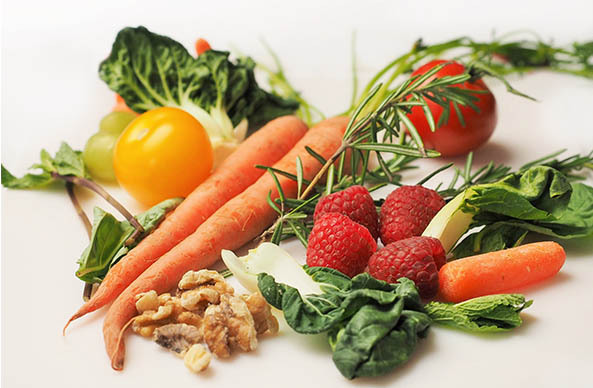 If you are concerned about health and nutrition, you should first understand the basics of healthy eating. The healthier your meals are the healthier you become. Health and nutrition go hand in hand. One cannot work without the other. Take the time to find a balanced diet that is not just nutritious but also delicious. It is a disconcerted fact that healthy food cannot taste good. Yes, it can, and you should try it sometime. The key to maintaining a healthy diet is to eat the right amount of calories. This depends on how active you are throughout the day. It must be a balance between consumption and energy. If you eat a balanced meal, you will shed pounds. Let’s look at starchy carbohydrates. Carbohydrates should be included in your diet in the form of bread, potatoes, rice, cereal and pasta. You can select wholegrain varieties like potatoes with the skin. Wholegrain varieties contain more fiber which means it keeps you feeling fuller throughout the day. Starchy carbohydrates are not fattening as most people think, but what you need to concentrate on is how you prepare it. For example, do you fry potatoes in oil, add cream sauce to pasta? This is what will make you gain weight. You may have been advised time and again to eat vegetables and fruits. Eat 5 portions of fruits and vegetables on a daily basis. You can mix it up for example, by adding a chopped banana to your morning cereal. Eat oily fish as it will not only help you lose weight, but it is also very nutritious. Fish contains vitamins, proteins and minerals. Oily fish such as mackerel, salmon, fresh tuna, trout and sardines contain high levels of protein that will give you plenty of energy to remain active during the day. Do not consume foods with saturated fat or sugar. This is a big no-no for anyone attempting to lose weight. As much as fat is essential toy our diet, you should not overdo with foods with a high intake of fat. Saturated fat in food can lead to health diseases like heart problems or cholesterol. The average saturated fat for an adult should be between 20-30g per day. Avoid foods such as caked, cheese, sausages, cream, butter and biscuits. Moving onto sugar, this is as unhealthy as saturated fat. Consuming foods and drinks with sugar in it can lead to not just weight gain but also tooth decay and obesity. Cut down on alcoholic drinks, fizzy drinks, pastries, pies and sugary breakfast cereals. Do not add too much salt into your food. Salt too can result in blood pressure. People that have blood pressure can end up with a stroke or heart disease. Although you may not necessarily add salt into your food, most foods have salt already added to it. Foods such as sauces, bread, cereals and soups have salt and cutting down on such foods is ideal to maintain a healthy diet plan.